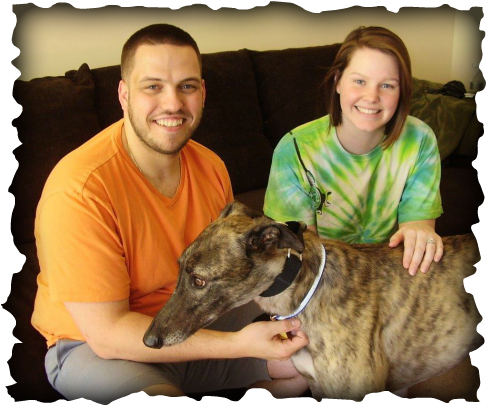 Stefani and Mike of Dayton visited a local PetSmart store to buy cat food, met our greyhounds there, and left knowing they wanted a dog. They applied to adopt a greyhound the very same day and just added handsome DKC Red Moon to the family. The cats Daffodil and Remy weren't sure about this big brindle guy at first and declined to join the photo shoot but Red has quickly learned to ignore them for now. He mastered steps the first day and completely captivated his humans. I'm sure we'll see all three at future events.